We are on the hunt for KNITTERS! If you can knit, or know anyone that may wish to knit some chicks ready for next year we would love to hear from them. 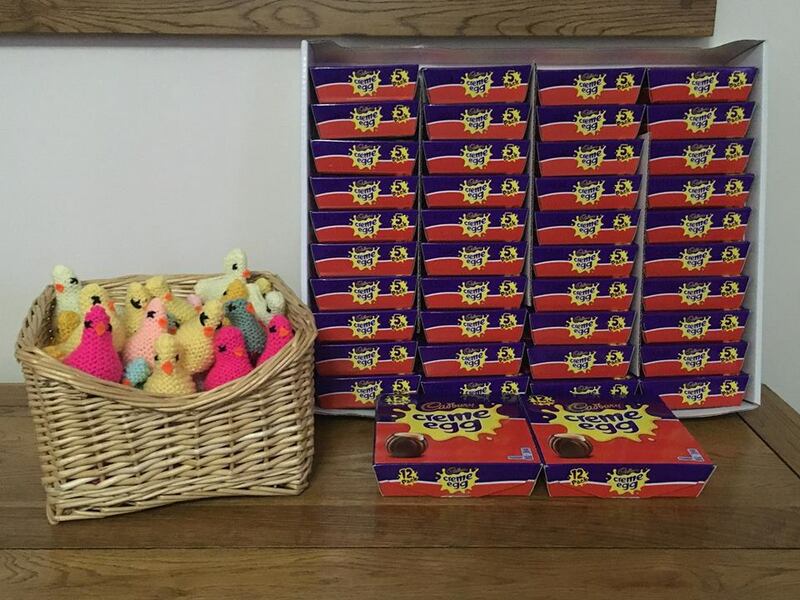 We are currently appealing for Cadburys Crème Eggs to fill our little knitted Chickens, ready to be sold for Easter.